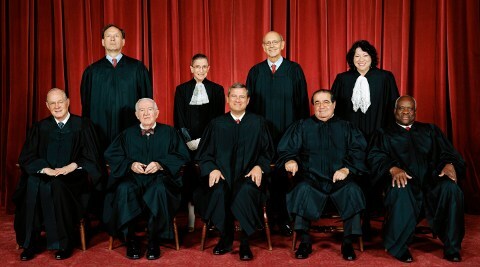 AS PROMISED, this is a standalone post about the i4i ruling at the SCOTUS. So the news is just about everywhere, especially in the Canadian press (because i4i is a Canadian company). The SCOTUS ruled against Microsoft as we mentioned earlier. King of the trolls, Microsoft, suffers from a verdict which is good news for patent trolls. The i4i case is not about patent trolls (in fact, i4i does have products), but the consequence of it is that rogue patents get legitimacy from the incompetent and at times technically-illiterate SCOTUS (they went to law school many decades ago). The SCOTUS is against fundamental principles that legalese experts rarely grasp and it neglects the people’s interests, too, not just technologists’. It helps monopolists under the assumption that their disinformation campaigns actually bear truths. A FOSS respective on this case can be found in Groklaw, which calls it a “Disappointing Supreme Court decision”. This was covered by Steven J. Vaughan-Nichols and Joe Brockmeier too. They explain the relevance to FOSS. Microsoft v. i4i Decided: IP Community Crisis Averted?